Oberlin College Department of Studio Art is pleased to announce Duy Phuong Le Nguyen will be the artist in residence during the month of February 2016. 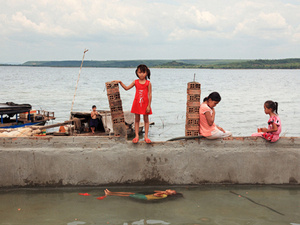 His photography project entitled Holding Water will be exhibited at the Richard D. Baron Gallery. The exhibition opens 6 p.m. , Friday, February 12. He will give a lecture sponsored by the Ellen Johnson Fund at 4:45 p.m., Wednesday, February 17, in the Allen Memorial Art Building. During his residency, he will give workshops and meet with students.